Chris McCoy is the business technology manager at Hickman Engineering Systems, a roofing products company in Asheville owned by OMG. Chris manages the company’s ERP (enterprise resource planning) system, the IT backbone of the company that includes material requirements, automates materials usage and storage, and integrates with accounting. 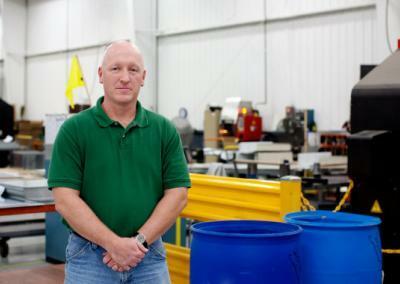 In his 17 years with Hickman, Chris has become both a manufacturing and IT expert. Advanced Data handles the entire Hickman IT backbone including onsite backups, disaster recovery, installing computers and new servers. 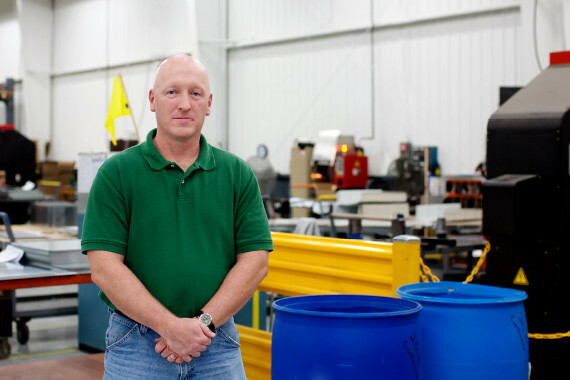 When the company moved to a facility twice the size of its existing plant in 2012, Chris says that Advanced Data really proved their value. A lot of planning occurred before the move, including running fiber into the building, and Chris consulted Advanced Data during that process. Hickman Engineering Systems takes advantage of Flat Fee IT, and appreciates the fact that there’s no contract involved. “What that says to me is that they know they are so good that we will stay with them, so there’s no need for a long-term contract,” he said. It also makes sense financially because I get a large pool of IT experts for what it costs to hire one person.